The 200 km stretch of coast connecting Mossel Bay to the Storms River Mouth is commonly referred to as the Garden Route in reference to its beguiling diversity of wide sandy beaches, lovely lakes and lagoons, shady evergreen forests and protea-studded slopes. 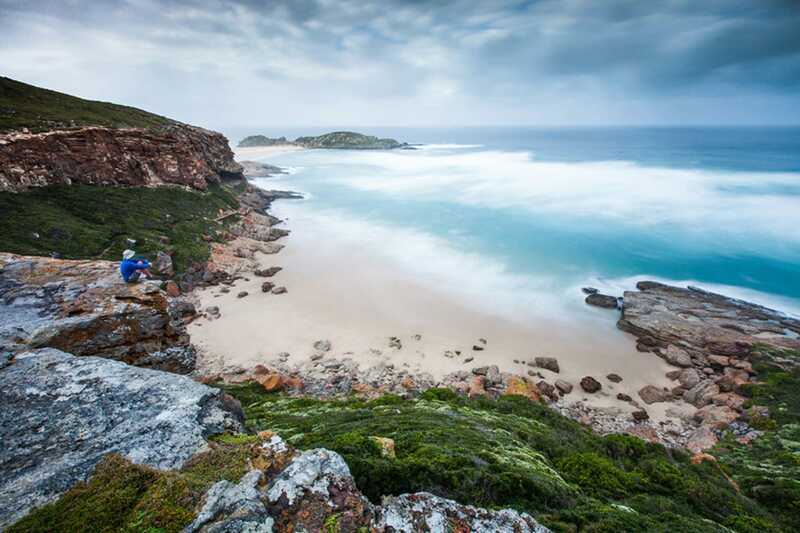 Lined with family-friendly beaches, but also ideally suited to hikers and other outdoor enthusiasts, the region is home to the patchwork Garden Route National Park and a host of protected indigenous forests. Large terrestrial wildlife is scarce, but the region offers fabulous aquatic and forest bird watching, including striking avian endemics such as Knysna turaco, yellow-throated warbler and olive woodpecker, while seals, dolphins and whales are commonly seen from seaside cliffs. The Tsitsikamma sector of the Garden Route National Park protects a vast tract of indigenous forest along with a series of breathtaking cliffs that rise 180 m above the breakers below. Highlights include the thrilling suspension bridge across the Storms River Mouth, and the 6 km Waterfall Trail, which follows the same stretch of rocky wave-battered shore as the legendary five-day Otter Trail. 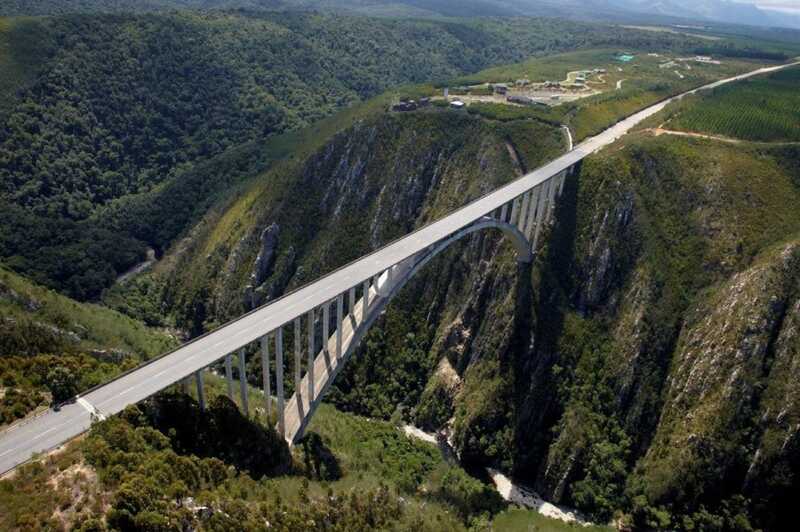 A short distance inland of Tsitsikamma, the 215 m Bloukrans Bridge bungee jump is reputedly the world’s highest. Family friendly Monkeyland is a private sanctuary offering refuge to more than a dozen species of monkey and lemur, all rescued from domestic captivity. 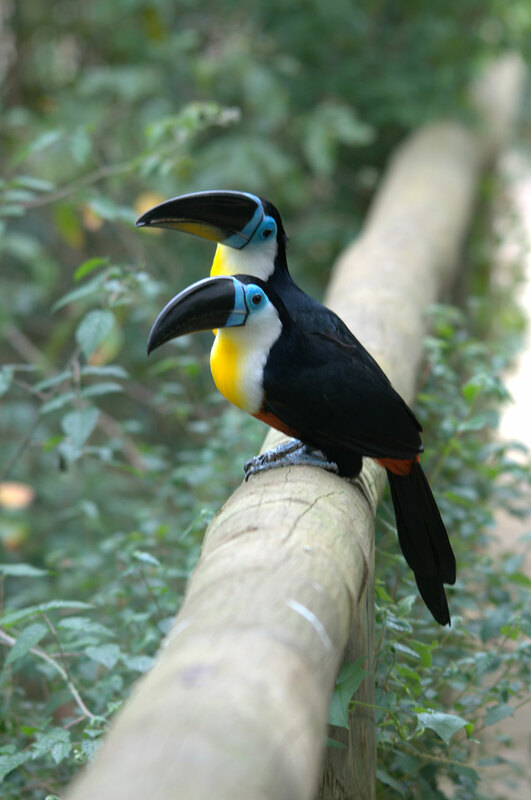 The adjacent Birds of Eden is a massive free-flight aviary run through by a 1km walkway and suspension bridge. A third associated sanctuary Jukani is home to rescued lions and various other big cats and smaller carnivores. Set on the aptly named Baia Formosa (Beautiful Bay), the perennially popular resort town of Plettenberg Bay boasts one of the South Africa’s loveliest and calmest urban beaches, along with a great selection of seafood and other restaurants. Adjacent to Plettenberg Bay, the towering cliffs of the Robberg Nature Reserve, home to large numbers of Cape fur seal, are circumnavigated by a stunning day trail from which dolphins, humpback whales and the endemic African black oystercatcher are often observed. The charming town of Knysna, whose Holy Trinity Church might have been transplanted from a sleepy English village, stands on a pretty lagoon hemmed in by a pair of sheer rock faces known as the Knysna Heads. Several quayside eateries specialise in fresh oysters cultivated in the lagoon and crafts beers such as those pioneered by the legendary Mitchell’s Brewery. Despite its genteel veneer, Knysna supports a thriving alternative scene whose annual highlight is the Pink Loerie Mardi Gras and Arts Festival, a five-day gay pride event held every April or May. 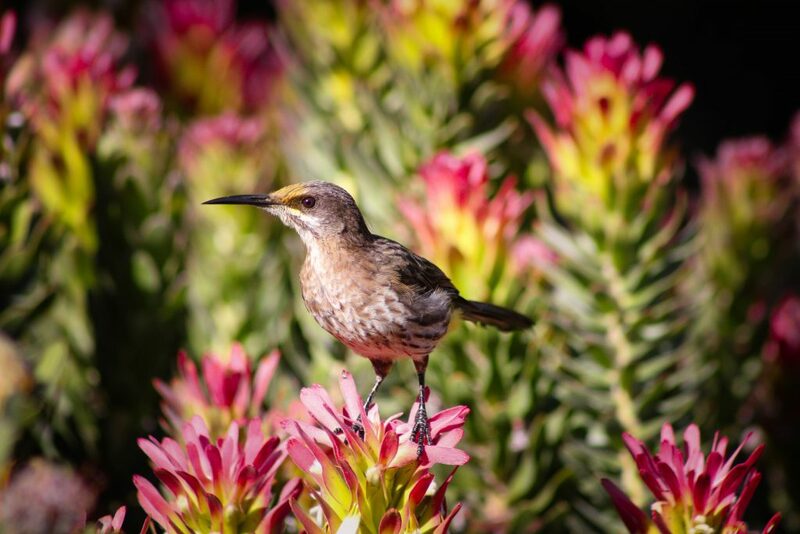 Sandwiched between beach and lagoon, the resort village of Wilderness flanks a sector of the Garden Route National Park whose vast network of freshwater lakes and forested waterways form a genuine birdwatcher’s paradise. It can be explored along a network of six easy walking trails, each named for one of the park’s half-dozen kingfisher species, or by canoeing through a stunning forested gorge formed by the Touws River. Set in the arid Little Karoo an hour’s drive inland, Oudtshoorn is was the booming centre of a lucrative trade in ostrich feathers in the late 19th century. The CP Nel Museum has good displays on the ostrich trade while a number of out-of-town ostrich farms offer travellers the opportunity to learn about, pet and ride these bizarre outsized birds. In the scenic Swartberg (Black Mountains) north of Oudtshoorn, guided 60-minute trips lead deep underground through the sequence of well-lit labyrinths of the Cango Caves, whose chambers are decorated by all manner of unusual limestone formations. An extended 90 minute ‘adventure’ tour into Cango Caves entails squeezing and clambering through crevices unsuited to the claustrophobic or seriously overweight. Mossel Bay is where, on 3 February 1488, Bartolomeu Dias became the first European to set foot on South African soil. Three years later, it is where a stranded Portuguese navigator left an account of his misfortunes in an old shoe suspended from a milkwood tree that went on to serve as South Africa’s first ‘post office’ for decades. The post office tree still stands in the grounds of the Bartolomeu Dias Museum, but Mossel Bay is now better known as a base for caged shark dives and boat trips to the aptly named Seal Island. 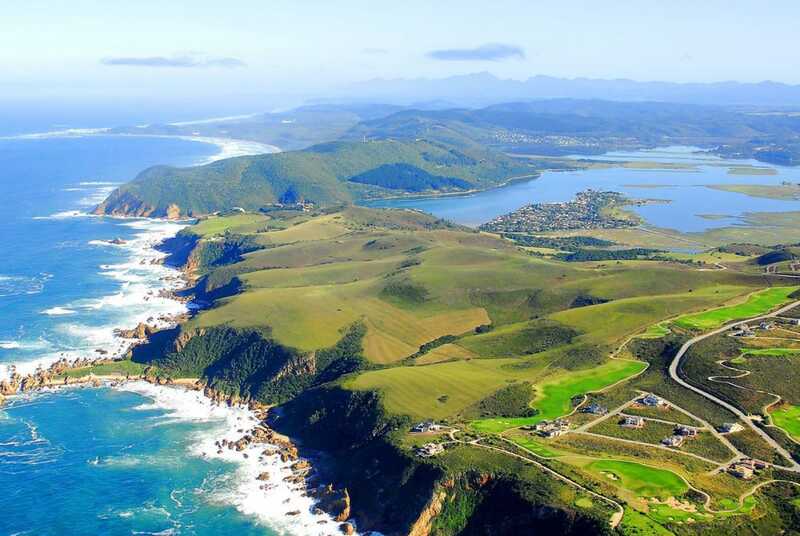 The main gateway to the Garden Route is George, a well-equipped city whose out-of-town airport is connected to Cape Town and Johannesburg by regular scheduled flights, and has all the usual car rental agencies. It is also possible to drive along the well-maintained 430 km N2 between Cape Town and George in 4-5 hours. The Garden Route is studded with literally hundreds of hotels, beach resorts and B&Bs, so it’s usually easy to find a competitively priced room, though rates rocket sky high, and booking is usually necessary, over the South Africa Christmas and New Year holidays.